Metal Finishing | Houston, TX - Specialty Metal Finishing, Inc. Specialty Metal Finishing, Inc., offers a wide variety of services designed to restore your metallic items. 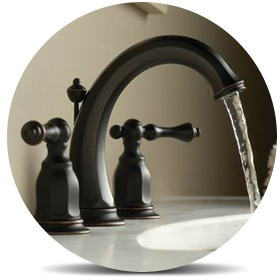 From antiquing a chalice in traditional brown or black to finishing a faucet in satin chrome, no project is beyond our capabilities. Choose from a myriad of finishes or have us create one. Restore your metal fixtures and other products with Specialty Metal Finishing, Inc. of Houston, Texas. our electroplating services are available nationwide. Since 1972, we have been providing homeowners, builders, remodelers, and designers breathe all-new life into everything from dulled faucets to handguns. Family-owned-and-operated, we are hands-on from start to finish to ensure maximum quality. We strive to exceed your expectations, providing you with personalized service that caters to your needs. Before and after photos are taken of your products to help you really see the difference. All of your products are handled with care while with us. We've established long-term relationships that span multiple generations. Our team has worked on products for area and national oil, medical, construction, hospitality, marine, and automotive companies. We are members of the National Association of the Remodeling Industry™ (NARI). To provide our customers with beautiful options for refinishing their door hardware, faucet fixtures, lighting fixtures, etc.